If you need more Dog in your life, be happy as the famous fugitive hunter will soon be back on television again for WGN America. In a new unscripted series called Dog's Most Wanted, Duane "Dog" Chapman of Dog the Bounty Hunter fame will be seeking out the country's most-wanted lawbreakers once more, joined by wife Beth and a team of professionals nicknamed the "Dirty Dozen." Targets will be more dangerous than the ones seen in Chapman's other shows, as the team goes after fugitives from the most-wanted lists of the FBI, U.S. Marshals Service, and state law enforcement agencies. With production slated to start in early 2019, the first season will consist of 10 episodes. WGN America president Gavin Harvey confirmed the upcoming series in a statement. "America has been captivated by Dog the Bounty Hunter, Beth and their dramatic true-crime experiences for over a decade. In this brand-new series, millions of Dog and Beth fans will join them on bigger hunts, pursuing more dangerous criminals, with a supporting cast of tough-as-nails crime fighters." Before becoming the world's most famous bounty hunter, Dwayne Chapman was no stranger to crime. In 1976, the future TV star was convicted of first degree murder and ultimately served 18 months in prison. This stemmed from an incident where Chapman was waiting in a car when his friend accidentally shot and killed a drug dealer. Chapman claims that he once tackled an inmate who was about to be shot for escaping, and the experience would influence him to become a bounty hunter after his release. Chapman is not allowed to own a firearm because of his felony conviction, though as we've seen, he doesn't seem to need one. Chapman first rose to fame in 2003 with the high-profile capture of fugitive Andrew Luster. This led to him being featured on a TV show about unusual occupations, highlighting the bounty hunter's career. Soon after, a spin-off series was born as the A&E series Dog the Bounty Hunter, which sent a camera crew along with Chapman as he sought to capture lawbreakers. The show was highly successful, running for eight seasons between 2004 and 2012. Although production on new episodes ended, the show would continue to air in syndication, keeping Dog a household name in the years since. Staying busy, Chapman would then continue his bounty hunting adventures in a 2013 spin-off series for the CMT network. 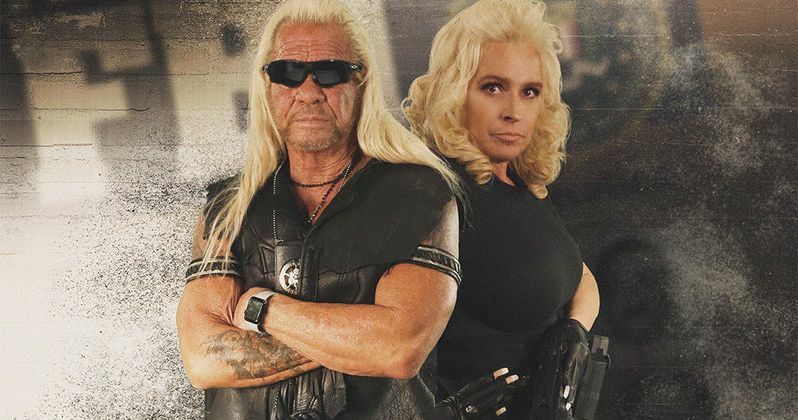 Dog and Beth: On the Hunt starred Chapman and wife Beth as they traveled to different bail bondsmen businesses, assisting with the apprehension of fugitives from all over. Ultimately, the show would air for three seasons on the network before wrapping up in 2015. The two would later return to A&E in 2017 for a two-hour special called Dog and Beth: Fight of Their Lives, chronicling Beth's battle with throat cancer. For their fans, it's certainly going to be nice to see the two back on TV soon, doing what they do best. A release date for Dog's Most Wanted has not yet been made available. With production beginning soon, chances are we'll see it premiere on WGN America sometime this year. Time will tell if the new series will have the same staying power as the original Dog the Bounty Hunter. This information comes to us from The Hollywood Reporter.